Just because summer's over doesn't mean you've stopped eating ice cream. 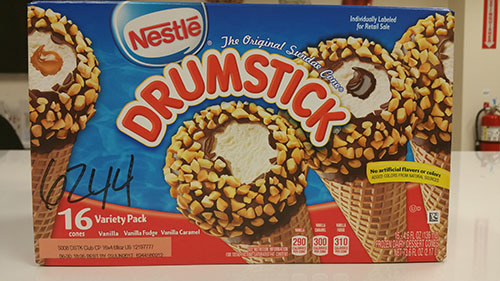 But if you fall in camp Ice Cream All Year Long, take note: Nestlé USA has issued a voluntary recall of some Nestlé Drumstick items due to a listeria risk, the Food and Drug Administration reported Friday. 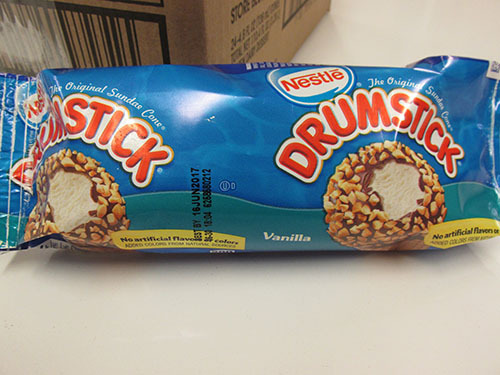 Products affected: Nestlé Drumstick Club 16-count Variety Pack and 24-count Vanilla Pack, both of which were distributed nationally. No other varieties of Drumstick products should cause concern, the FDA noted. What's listeria again? Listeria is a bacteria called an "opportunistic pathogen" that causes severe illness to an estimated 2,600 people on an annual basis, according to the Centers for Disease Control and Prevention. It's usually contracted by food that's been contaminated by the bacteria. Those affected may experience muscle aches, diarrhea and other painful stomach conditions. Older adults, young babies and those with weakened immune symptoms are at highest risk for infection. How it happened: "The company received positive test results for Listeria monocytogenes from equipment contact surfaces from a location on the production line where these products are made," the FDA wrote. No positive test results for listeria have been found on the actual ice cream products themselves, and no illnesses associated with the findings have been reported. The recall serves as a defense to protect against any possibility for sickness. What now? Don't eat the Drumstick in your freezer before checking the packaging.If you have any of the recalled items in your household, the FDA recommends returning it to the retailer or contacting Nestlé Consumer Services for replacement. This division can be reached by phone or text 800-681-1676 and by email at Nestleproductinquiry@casupport.com.